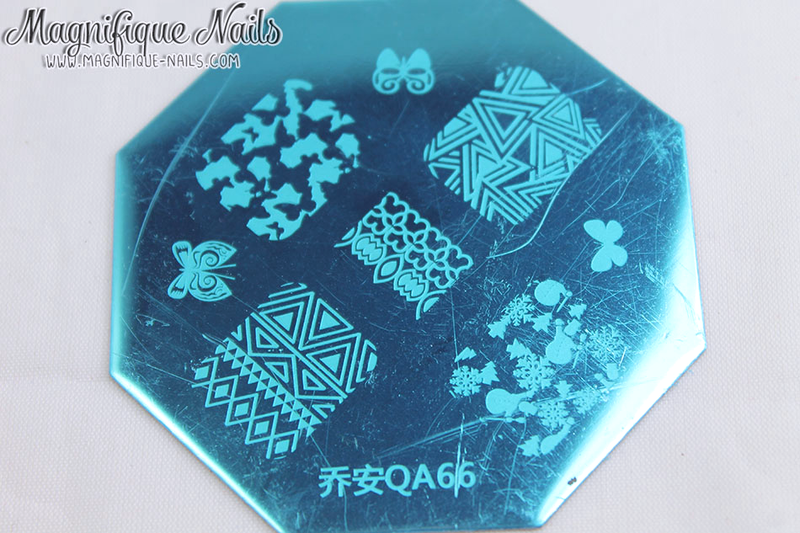 Lately I have been eying most of their stamping plates. I tend to pick them, mostly out of curiosity! Normally, I prefer to do my design free-handed. 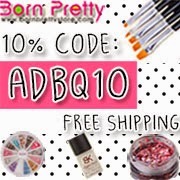 But how can I not resist to take the chance to try them, especially for those quick and easy nail art. The plate I chose is the QA66 hexagon shape, with 4 large shapes, 3 butterflies and 1lace like design. I was surprised how difficult it was to choose a specific design to pick. But I couldn't help pick the tribals. Seriously one of my weak points. Below I swatched the shapes on paper. For this design, I finally had the nerve to try the "stamping decal" technique. They're so many tutorials out there, however, I looked up to Lucy's Stashs YouTube and was very easy to follow. For the base I used two coats of Julep Florence. Once the polish was completely dried, using the stamping technique in seen on the tutorial. I used China Glaze Sun-Kissed and Peonies & Park Ave for the colors tribals. I then accented the rest with neon studs (which you can get in Born Pretty Store). Lastly, I sealed the design with H K Girl Top Coat, that's it! Overall, I loved how these came out. 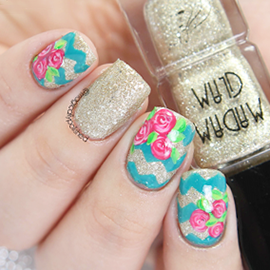 Loved the designs and the look, perfect for the summer! 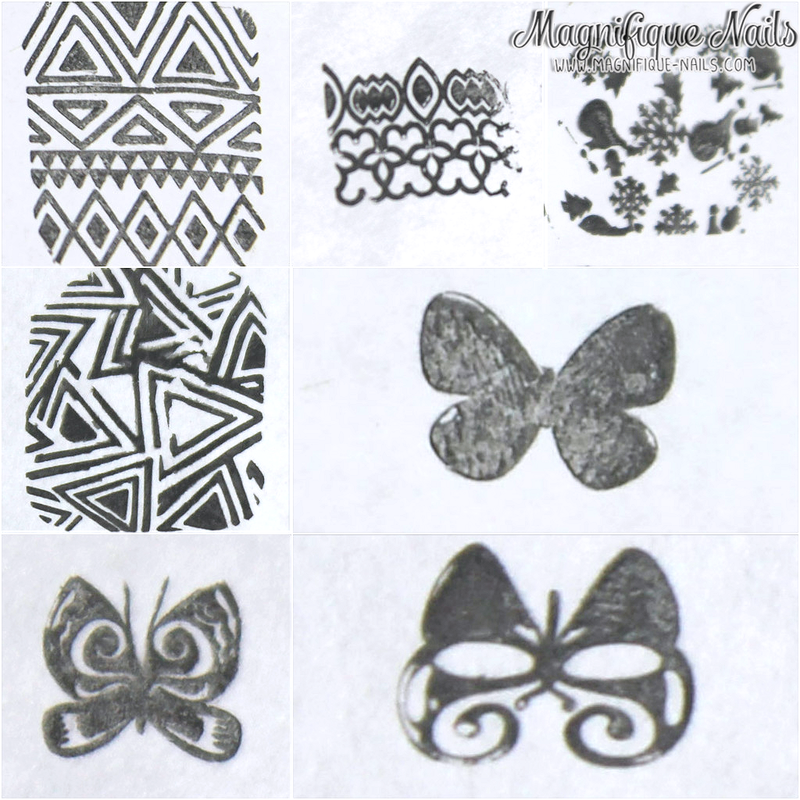 The stamping plate is .99 cents each and are a great to use for that a quick look.